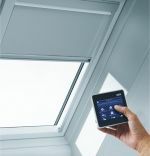 Wind – as hailstorm happens wind speed and direction can vary. 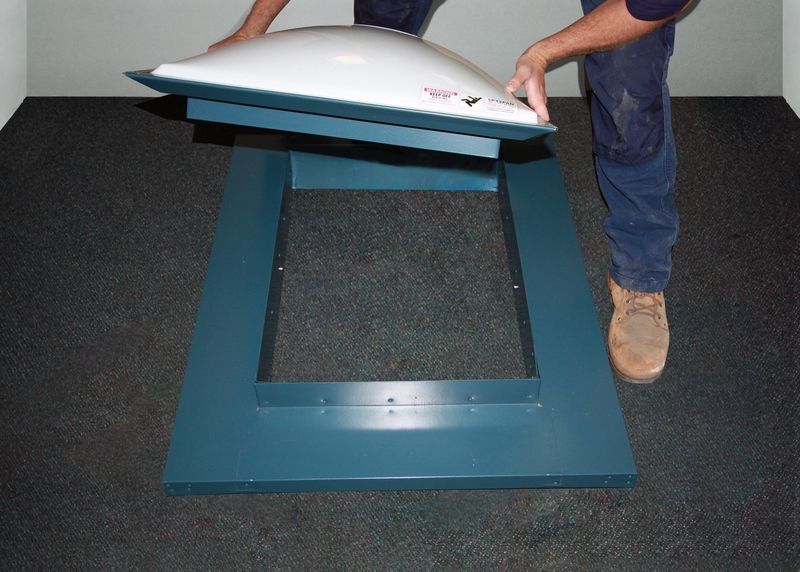 Changes in wind direction and wind speed will affect the location and impact of the damage. 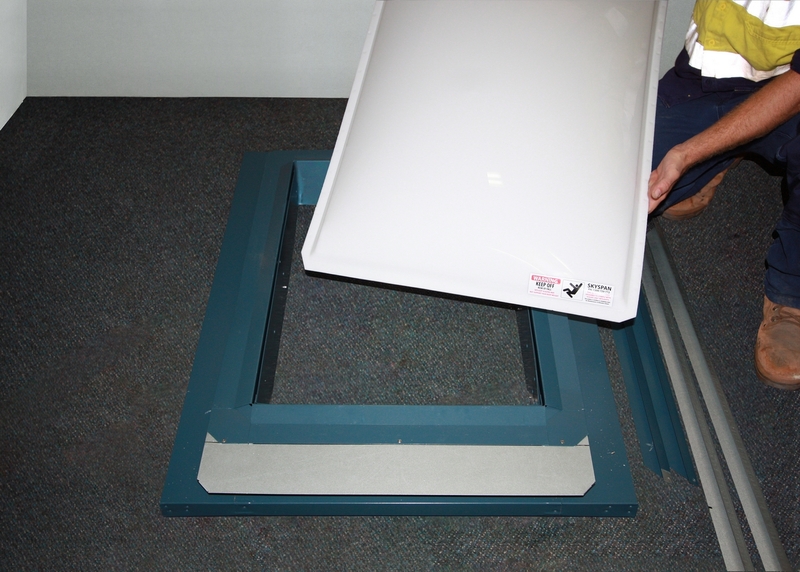 Size and density - The size of the hailstones can affect the degree of damage, if any, to your property. 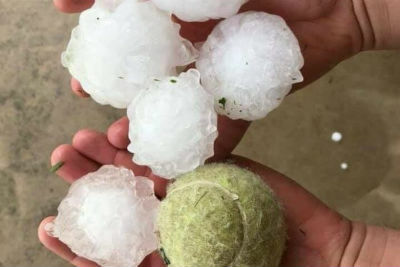 With the recent hailstorm that hits Sydney the hailstones the size of tennis ball smashed into roofs. 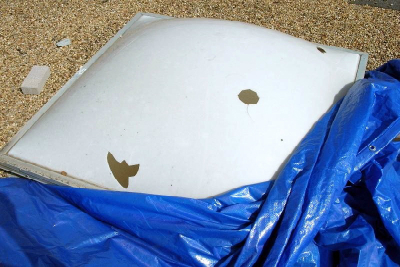 Roof Materials – Roof materials absorbs hail impacts differently. 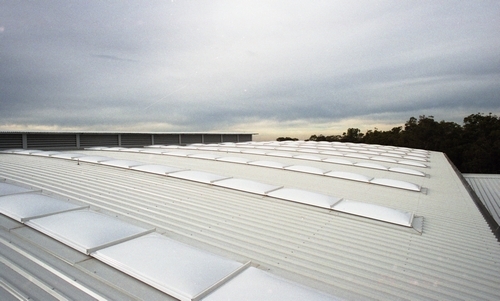 For Metal Roofs it can cause dings and dents on the roof. For Tiled roof they are less susceptible to wind-driven damage and moderate hail impact. 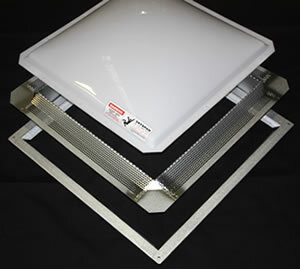 Direct hits from large hailstones will shatter individual tiles upon impact. 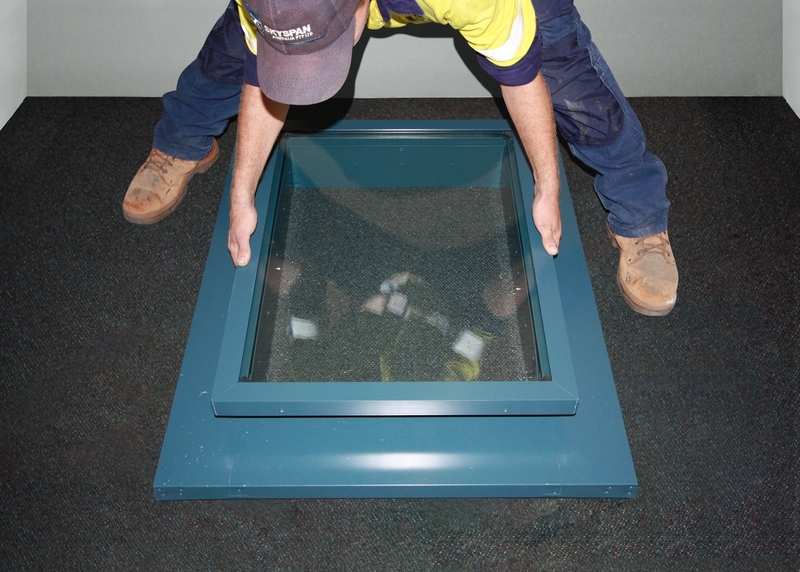 Glass – Glass generally will withstand large hail better than a Polymer material however they will still break with the larger Hailstones. 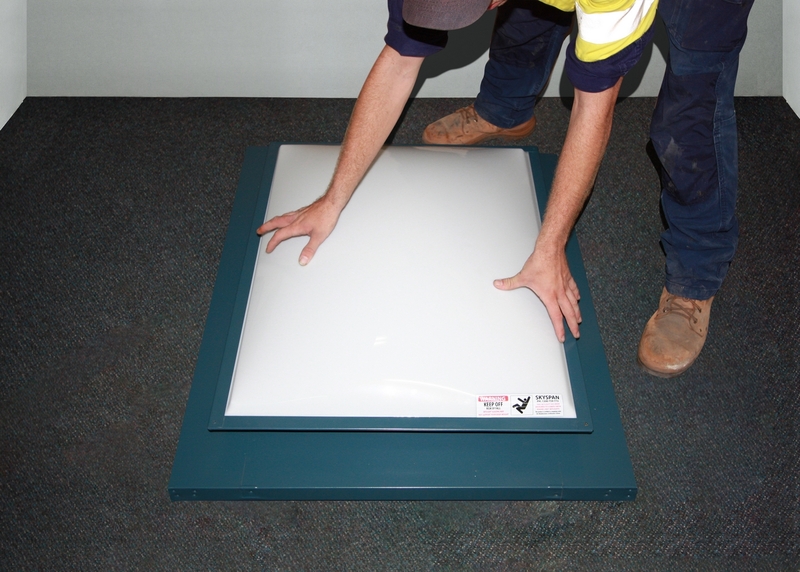 In the last big hailstorm in Sydney (December 2018) even Skylights with Toughened Glass like the industry leading Velux Skylights were damaged by the hail. 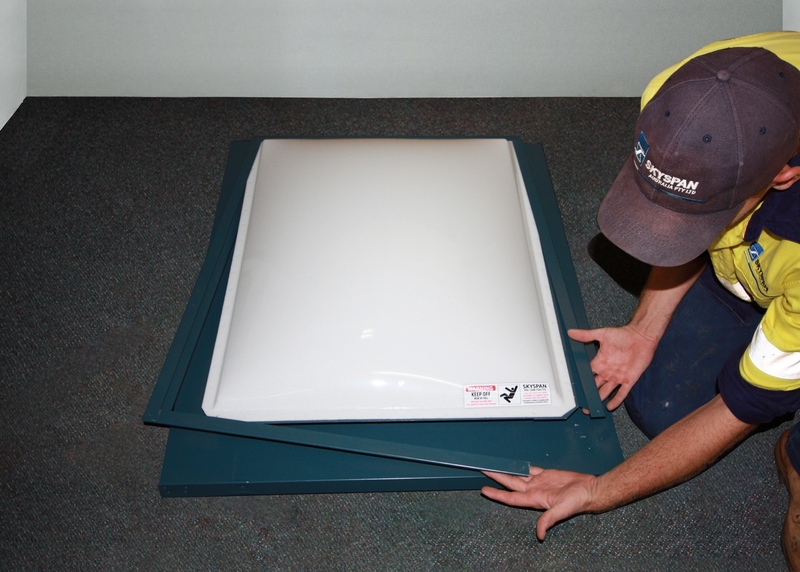 Polymer Domed Skylights will withstand small to moderate sized hail however like all roofing materials they will be damaged by large hail. 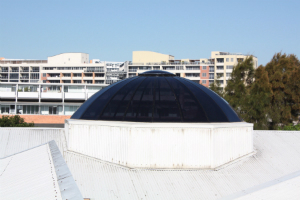 In the recent storm some Polymer Skylight Domes that were replaced were more than 35 years old which gives testament to their durability having survived more than 35 seasons of extreme Australian weather. 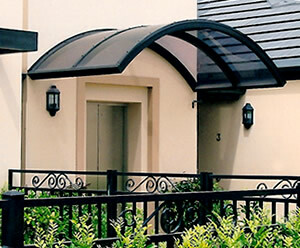 The domed shape combined with the softer Polymer material gives the dome the ability to absorb most hail impacts without breaking. 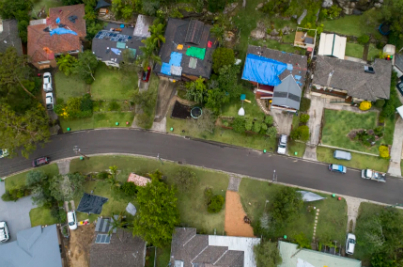 Last December 2018 Residents of Sydney suburbs are waking up to inspect the damage caused by the worst hailstorm in almost 20 years. 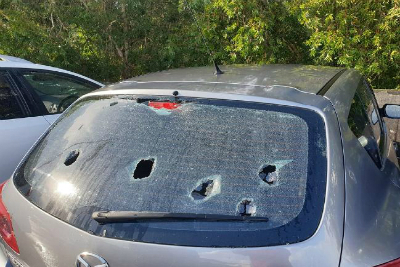 The “catastrophic” storm saw hail smash windows and batter roofs and across Sydney and beyond. 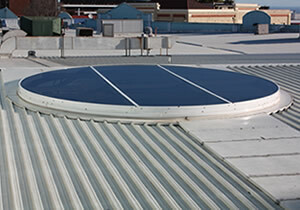 With massive damage of hail across Sydney it produces a lot of leaking roofs and skylight needing to be repaired and replaced. 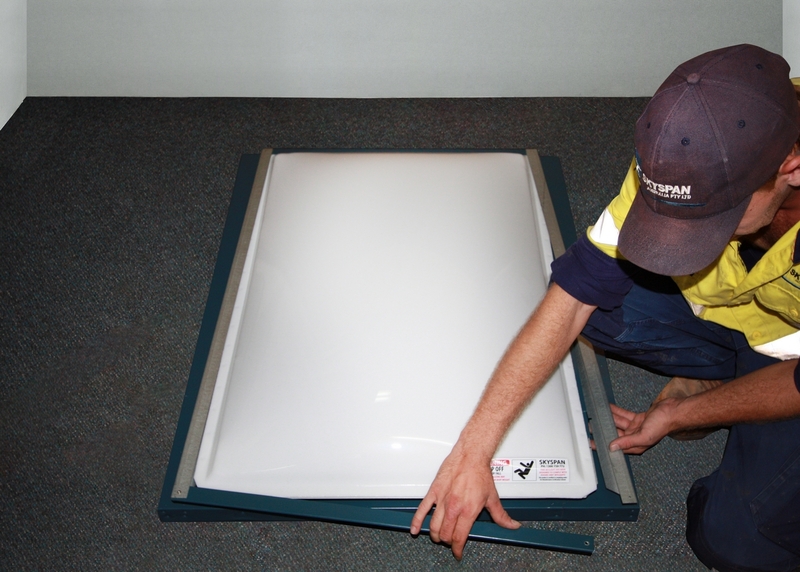 What to do when your Skylight is damaged. 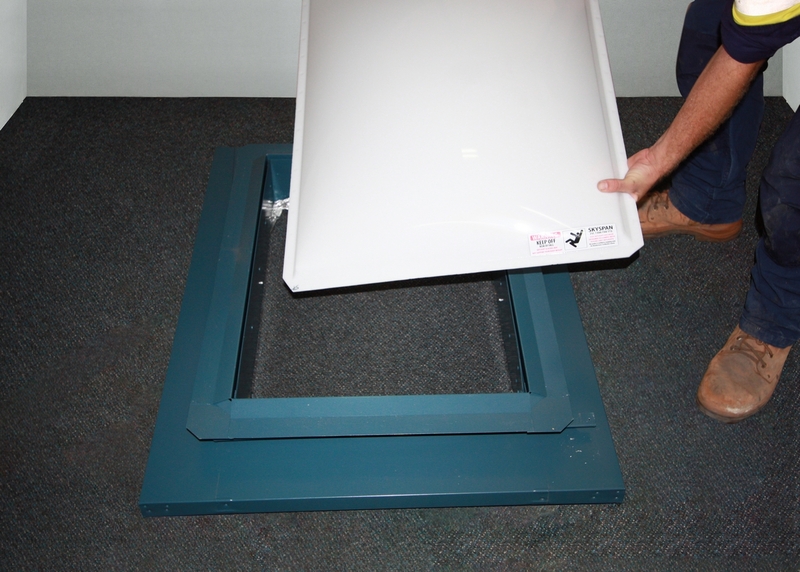 Once the storm has passed the first priority is to waterproof the damaged Skylight. 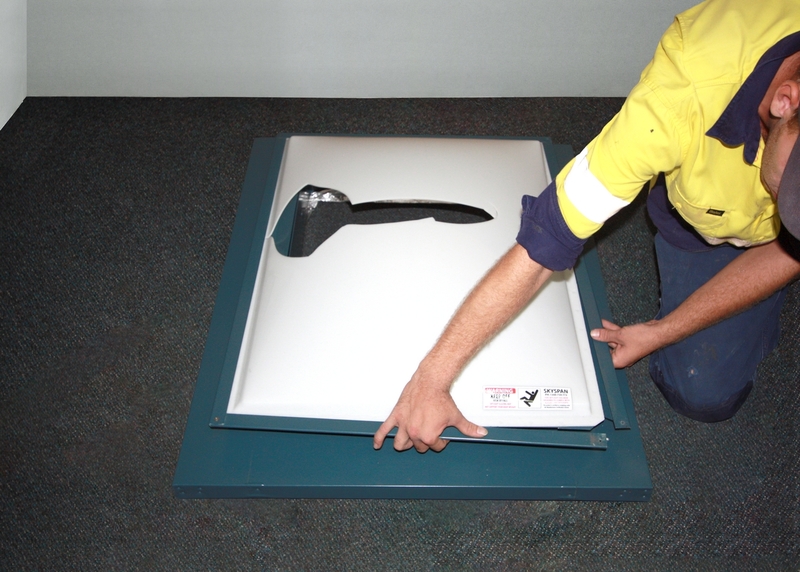 One of the best ways to do this is to place a tarp over the Skylight. 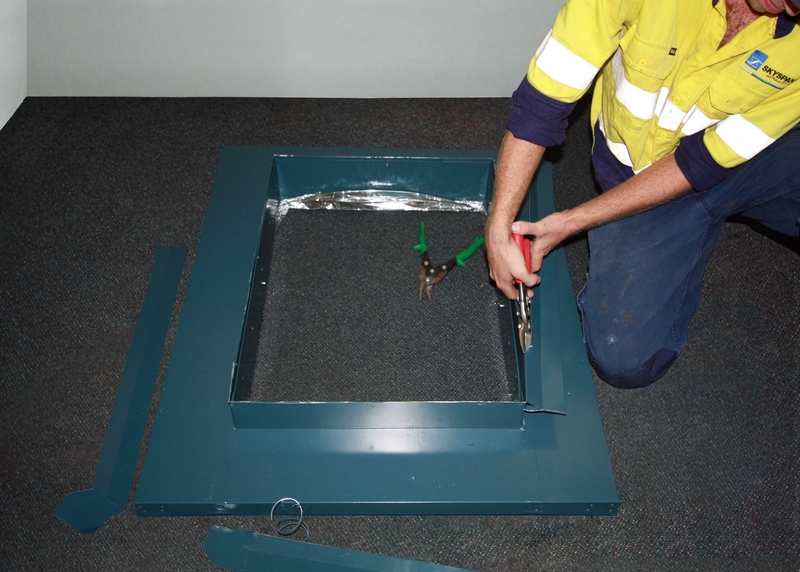 Make sure this is done by a competent person that is qualified to be on a roof. 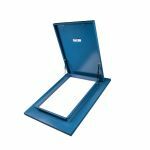 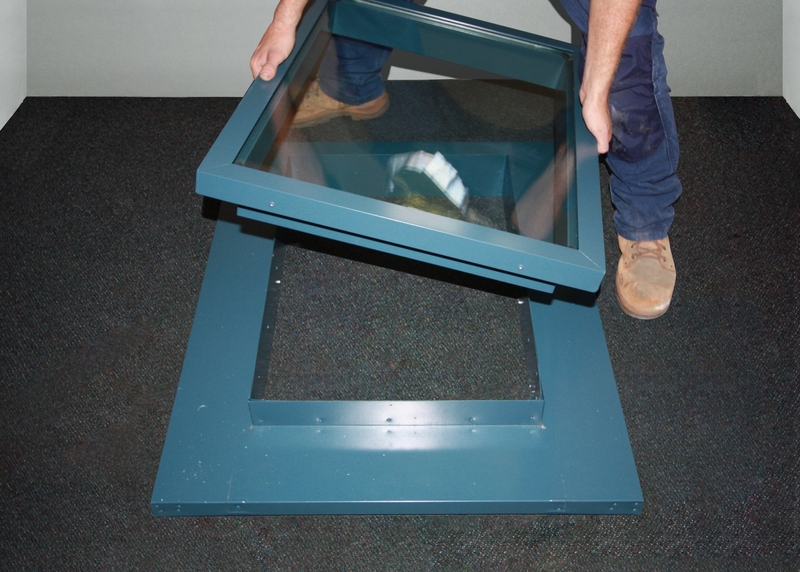 If you can not waterproof the Skylight yourself immediately after the storm, contact a Skylight repair company or a roof repair company however if they are unavailable you can contact the SES. 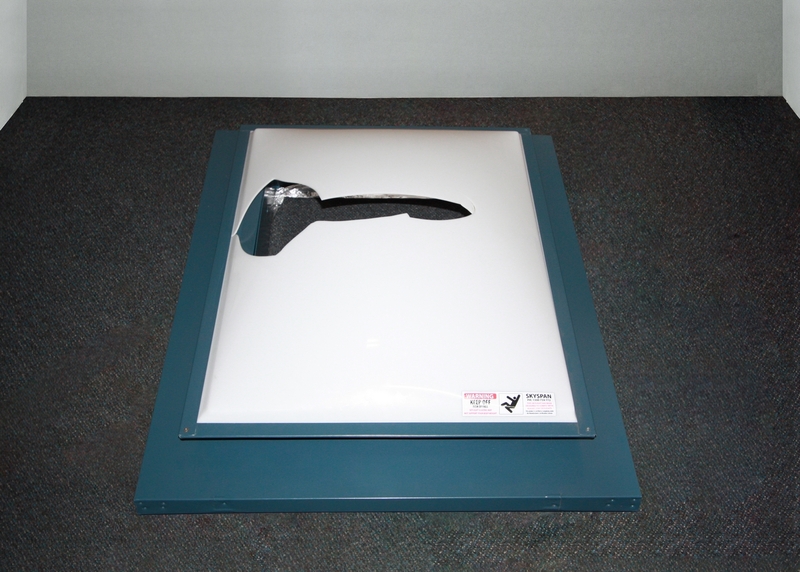 You may want to contact your insurance company. 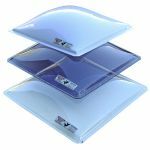 This may delay how soon your Skylight is repaired as a big hailstorm can sometimes cause months of delays before Insurance companies can organize repairs for all claims due to massive workloads. 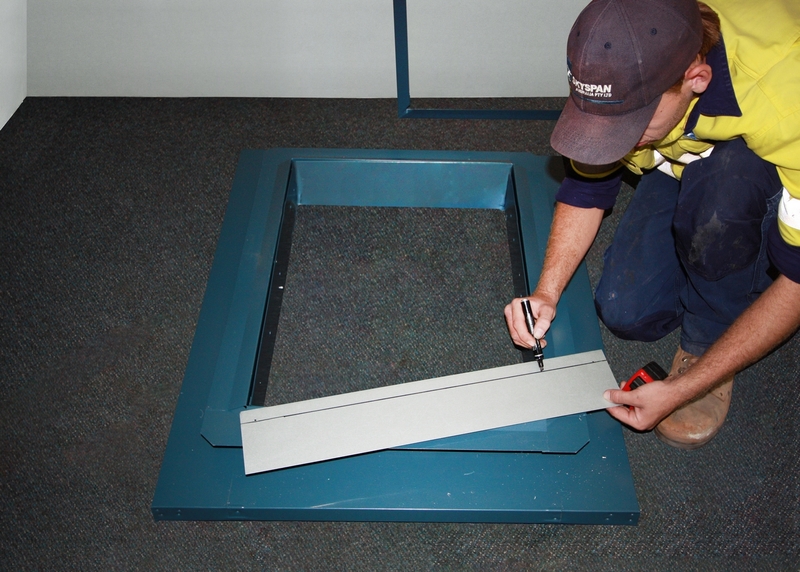 Flange to Flange - This is the measurement from the edge to the edge of the Polymer Dome. 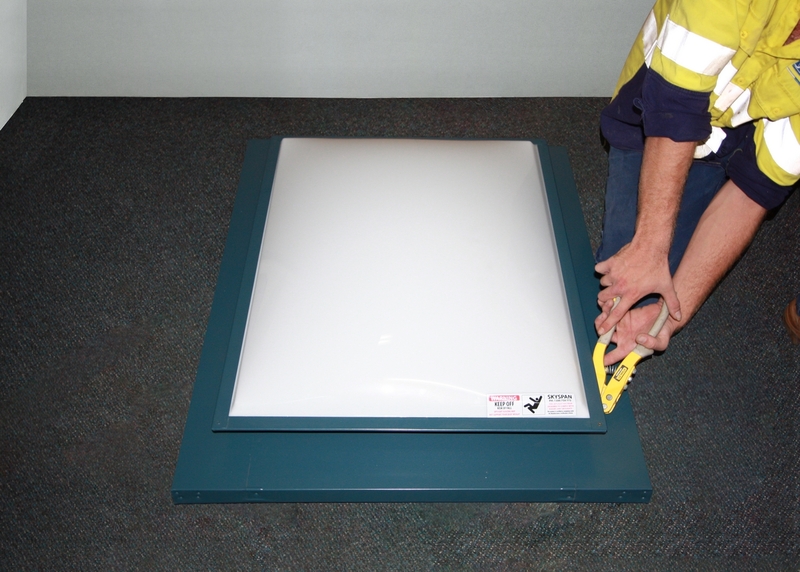 Shoulder Height - This measurement can be critical on some brands of Skylight to make sure that it will fit over some Skylight Frames with a high lip. Dome Height - This measurement is mostly not critical to replacing a dome. 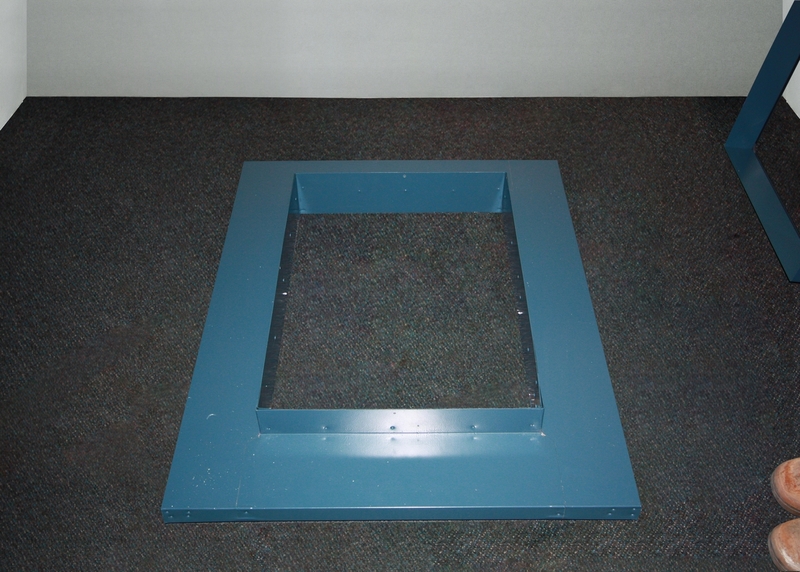 Nominated Skylight Size - This is the throat or internal size of the Skylight. 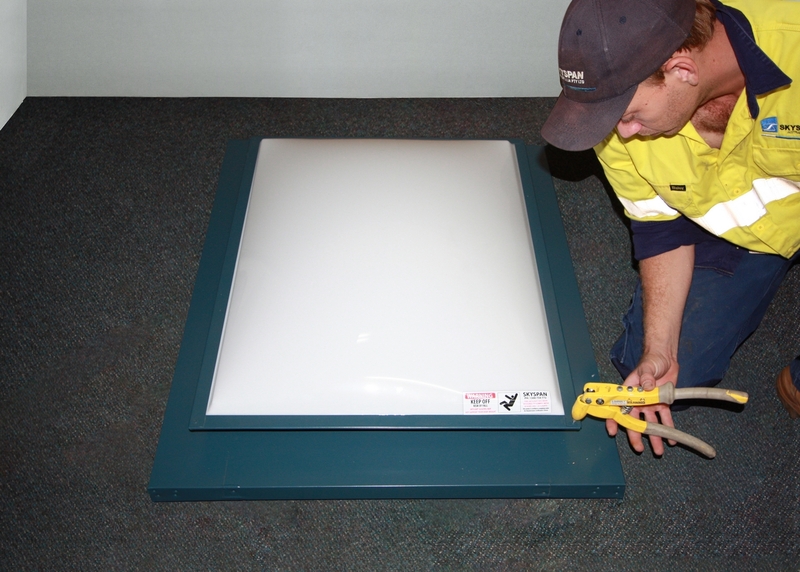 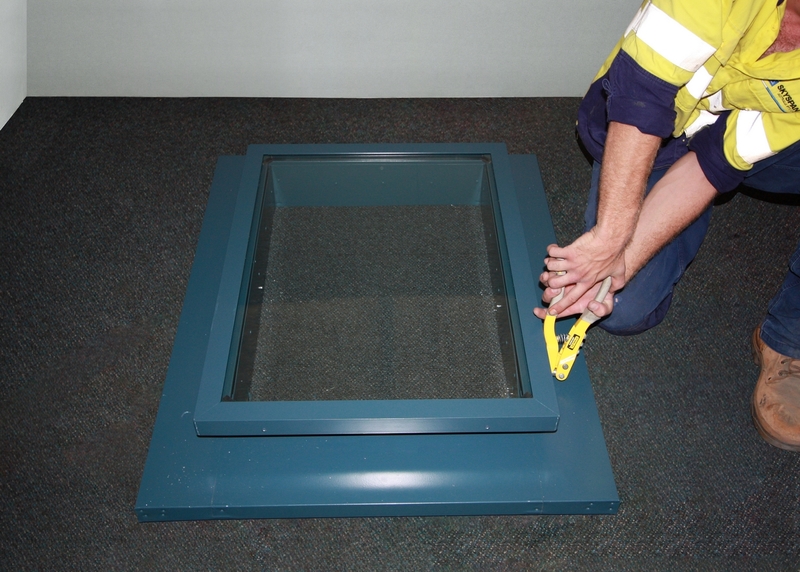 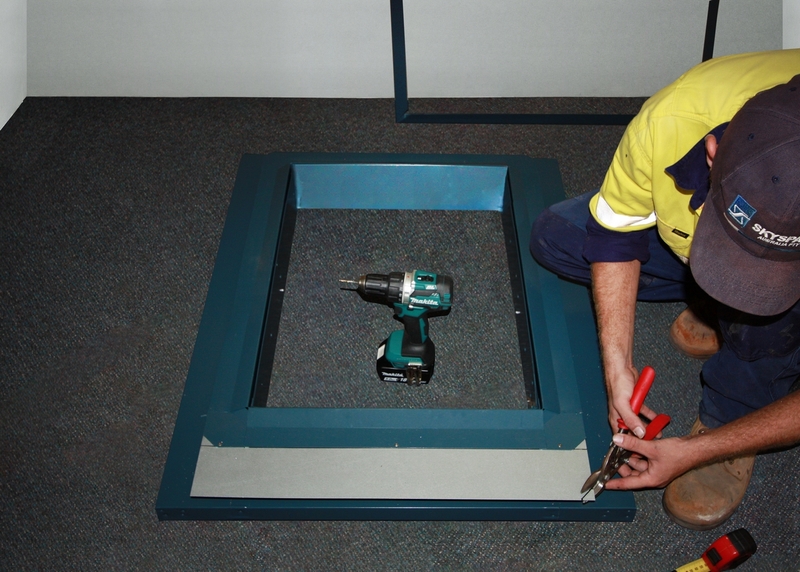 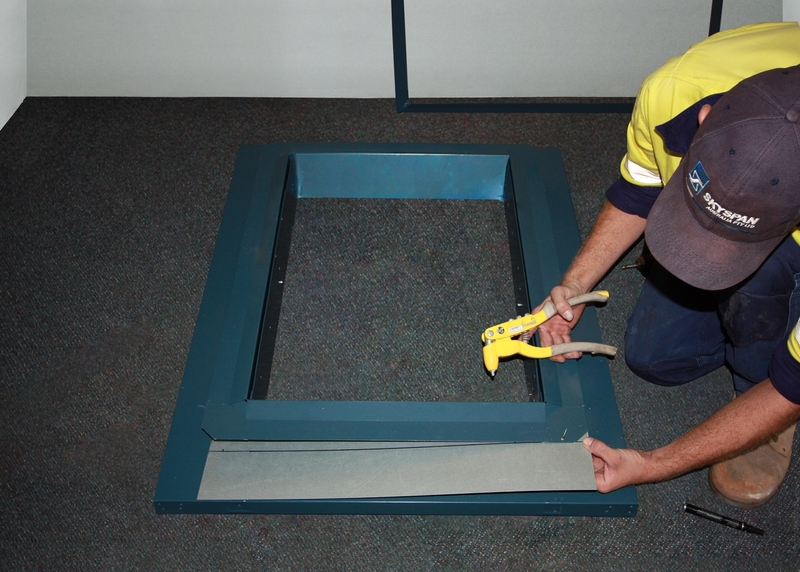 If the Skylight is a 2 piece unit with a Flashing and Frame, the Frame will need to be removed to get the correct measurement. 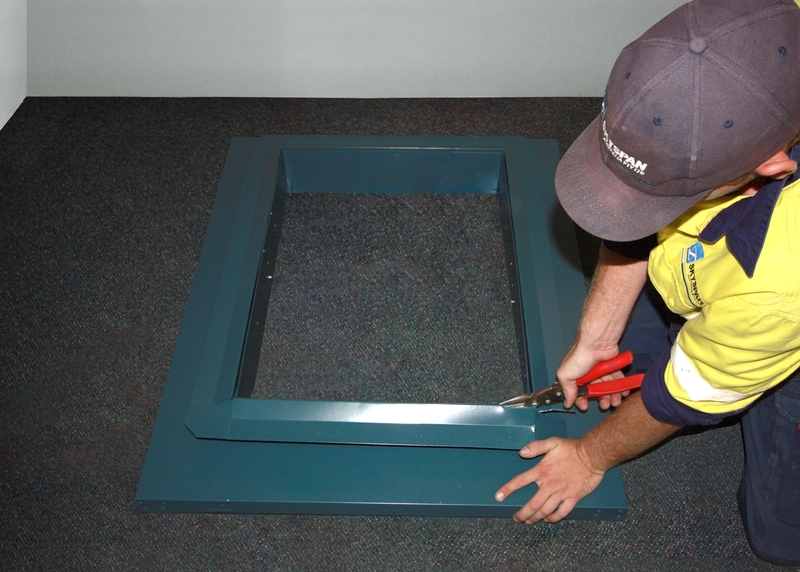 Trim Size - The Trim size is bigger than the Flange to Flange size of the Dome. 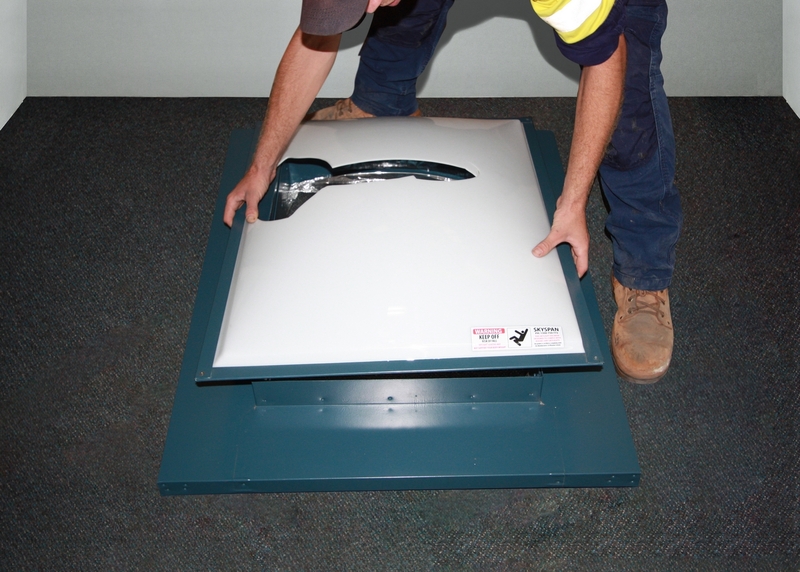 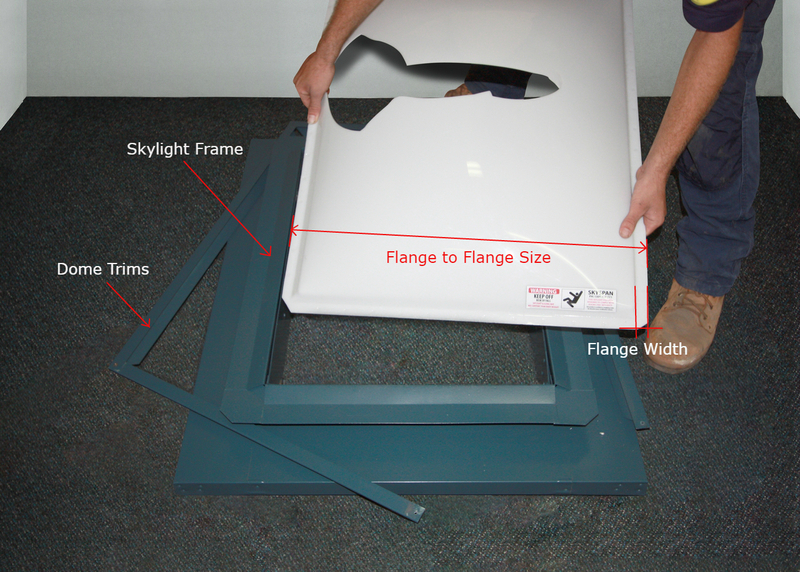 In most Skylight Brands it will be 5 – 15mm bigger than the Flange to Flange size of the Dome. 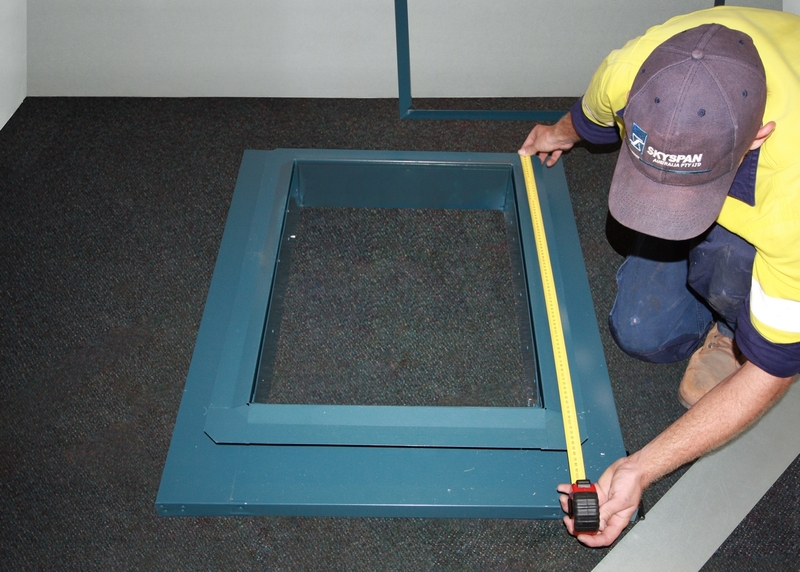 Frame Size - This is the external measurement of the Frame. 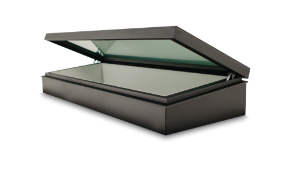 If the Skylight is a 1 piece Skylight it will be the same size as the Nominated Skylight Size. 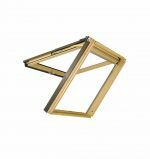 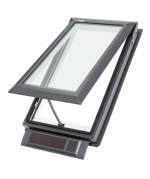 If the Skylight is a 2 piece unit, the Frame size will generally be 5 – 10mm bigger than the Nominated Skylight size. 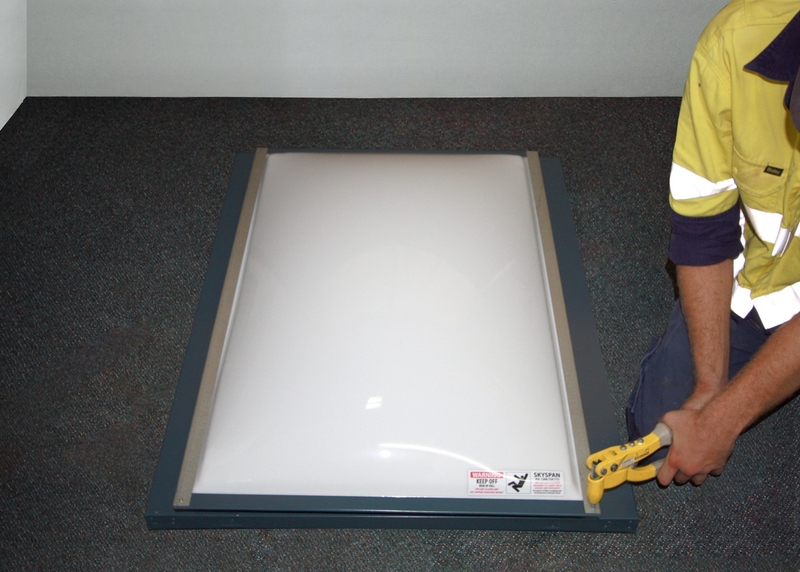 We recommend that you should replace your skylights when you reroof. 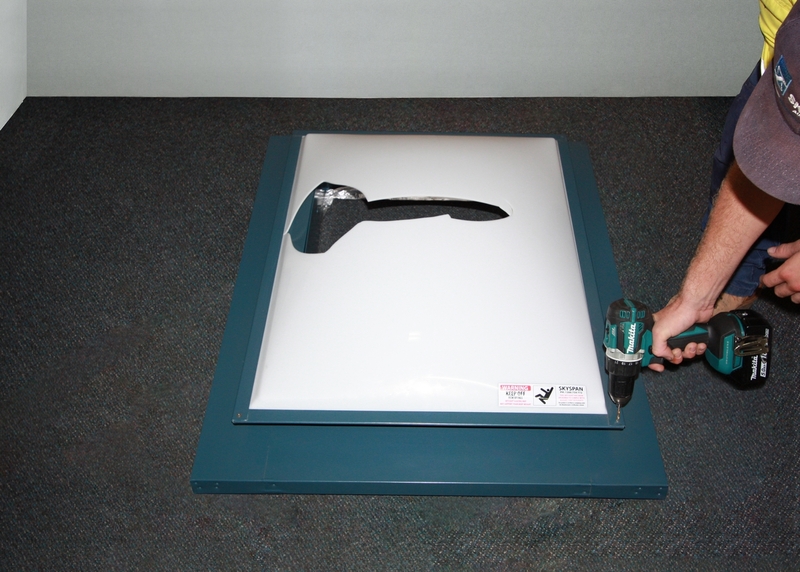 It’s the most cost-efficient way, and it allows you to synchronize your roof and skylight warranties.